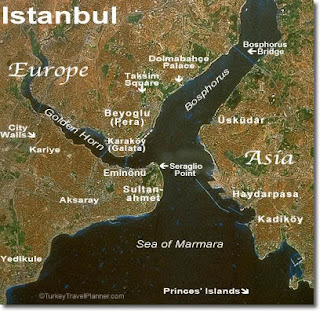 Istanbul ,Turkey is a city located on two continents -Europe and Asia.It is not the only city on two continents ,see this list. 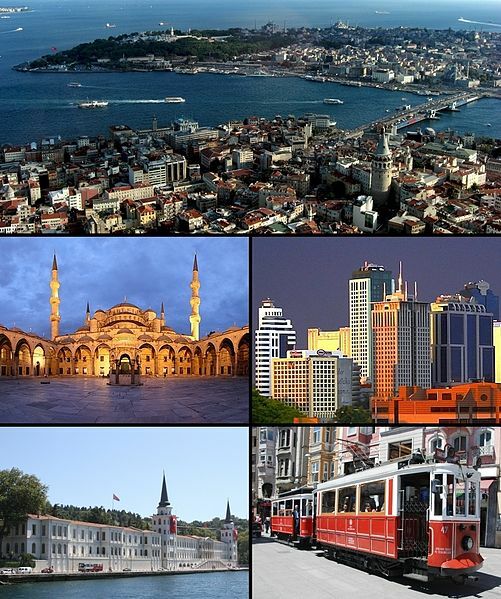 It is the largest city in turkey and one of the largest cities of the world.Its commercial centre lies in Europe wheras one third of its populaton lies in Asia. Its former name was Constantinople and was the capital of the Byzantine empire. Its population is 13.9 million.It is located in northwestern Turkey and spans over area of 5343 square Km. 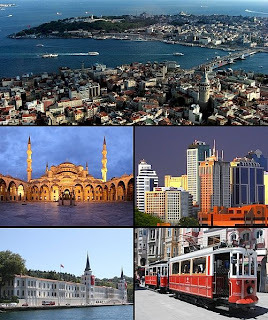 Istanbul is a tourist destination ,it was named as European Capital of Culture.It is the worlds fifth most popular tourist destination.